If he is lucky, every man, famous or not, wealthy or not, will get a chance in his lifetime to decide whether health or his profession is more important. 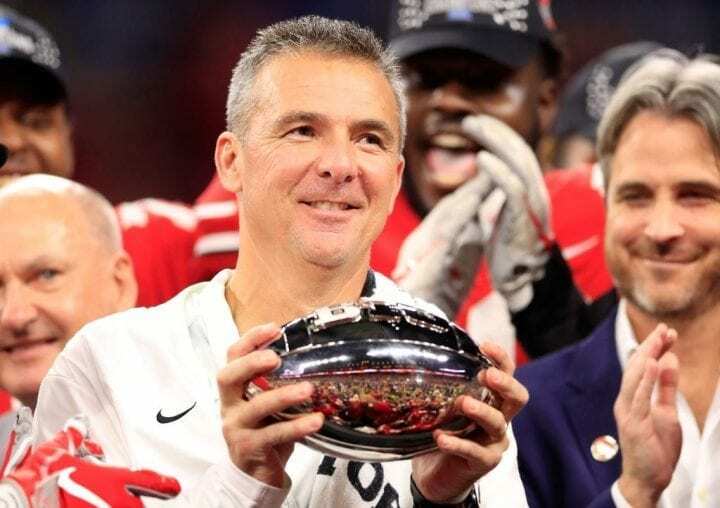 With the likely exception of Nick Saban, there has been no college football coach more successful or impactful over the last 20 years than Ohio State’s Urban Meyer. Only 54, Meyer is faced with a major health crisis. He has an arachnoid cyst on his brain that was first diagnosed in 1998. It has progressively worsened, causing headaches that tend to worsen under stress. It was just October against Indiana when Meyer suddenly fell to his knees on the sidelines. Stress. Frankly, when is a coach like Meyer not under pressure? It was getting harder every day. So, on Tuesday, Meyer, Ohio State’s coach for seven seasons, got the chance to choose. He chose his health, announcing he would retire immediately after the Rose Bowl on Jan. 2. Meyer will be replaced by his offensive coordinator Ryan Day, who is getting a four-year, $18 million deal. It was Day who coached the Buckeyes in the first three games of the 2018 season after Meyer was suspended for not being adequately forthcoming about what he knew about domestic battery charges lodged against one of his assistant coaches, Zach Smith. That included keeping Smith on his staff and being untruthful about the situation when asked about it during Big Ten media day in July. The record shows Meyer’s 186 FBS wins in 17 seasons are the most in college football history since 2001. That will not last for long. Saban (185) is right behind him. But its more than Tom Osborne (168) and Joe Paterno (162). Meyer’s .853 winning percentage also trails only Knute Rockne (.881) and Frank Leahy (.864), both legendary Notre Dame coaches. Meyer had not previously admitted he planned to retire. As far as anyone could tell, he would be back in 2019 and his contract was through 2022. In fact, the athletic department denied a report in Football Scoop last week that Meyer would not stay longer than one more season and that Day would replace him. Day, 39, is a very hot commodity, a rising star. Did you know Woody Hayes was just 38 when he came to Ohio State in 1951? Day arrived last season after working for Chip Kelly, his former coach at the University of New Hampshire, in the NFL with San Francisco and Philadelphia. He chose the Buckeyes, turning down a chance to the offensive coordinator of the Tennessee Titans. In order to keep Day happy – and in town – Meyer promoted him to offensive coordinator this season and gave him play-calling duties. The school offered a three-year deal and raised his salary to $1 million. They added another $478,000 for the three games he filled in for Meyer. Day not only worked as a grad assistant for Meyer at Florida, he was the OC at Temple and Boston College under one of Meyer’s assistants with the Gators, Steve Addazio. It’s almost as if his ascension was fated. When asked to comment on the report, Meyer passed. But he had apparently admitted to some friends earlier this season that his zest for coaching was not what it once was. And that concerned him. Meyer started his coaching career at Bowling Green before moving to Utah. He twice resigned at Florida and became Ohio State’s coach in 2011 after spending a year at ESPN. 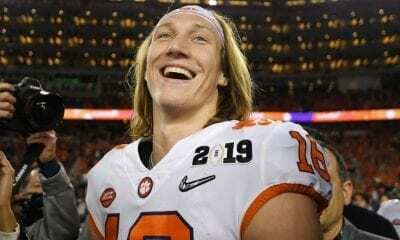 He has won 82 games in Columbus, seven division titles (shared or outright), three conference championships and the 2014 national championship after the 2014 season. He also won all seven meetings with Michigan, just as important to most alumni. 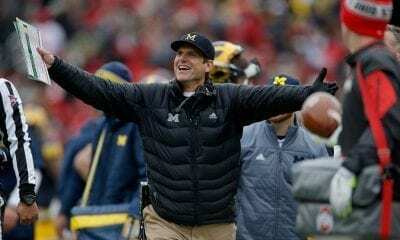 No other Ohio State coach has ever come and gone without losing to the Wolverines. 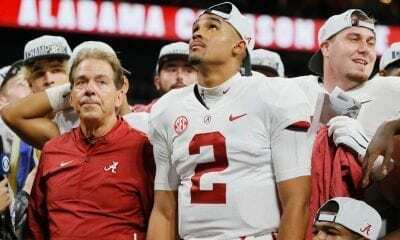 And he (Florida and Ohio State) and Saban (LSU and Alabama) are the only coaches to win national championships at two schools since 1936. That’s what you call greatness. But what’s fame without health? Meyer knows the answer.